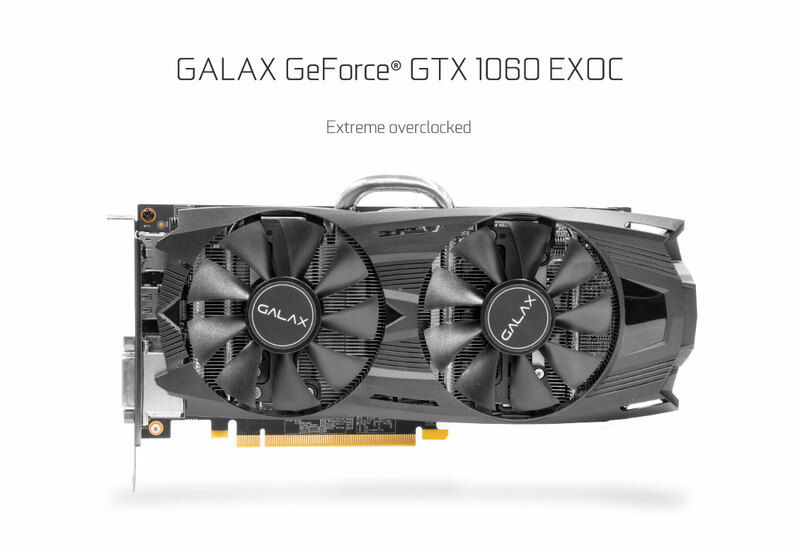 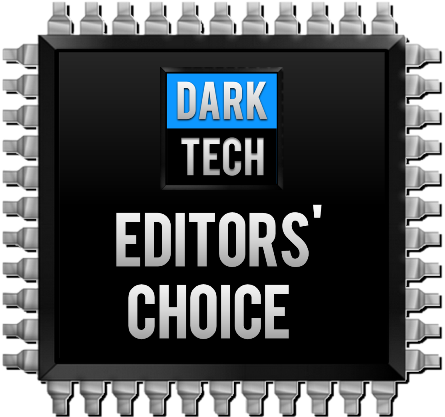 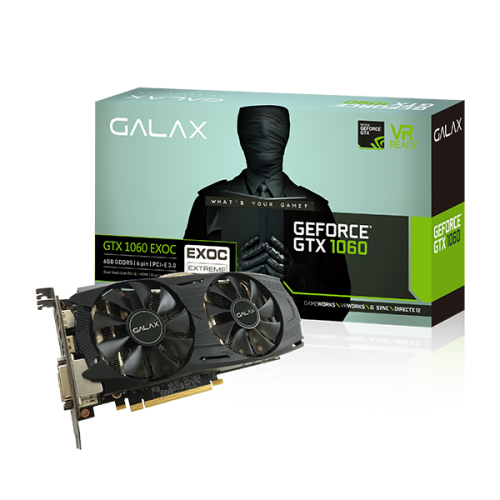 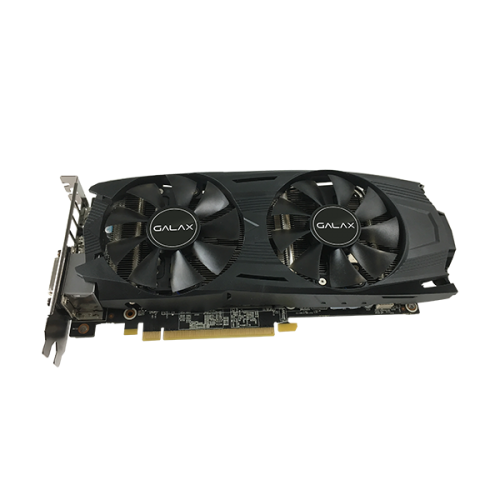 The Galax GeForce GTX 1060 EXOC Black 6GB graphics card offers an all-black look, a refined style, custom twin 90mm fans, and is ready to rock out of the box! 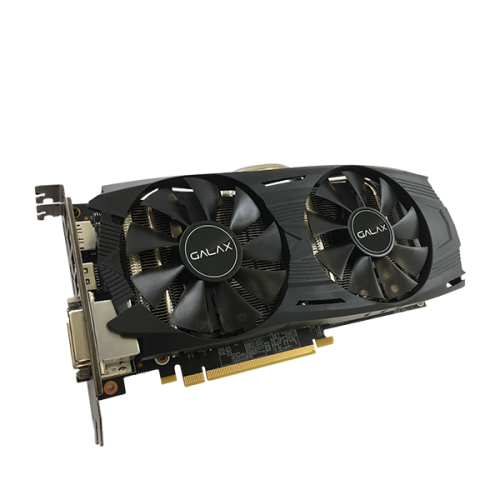 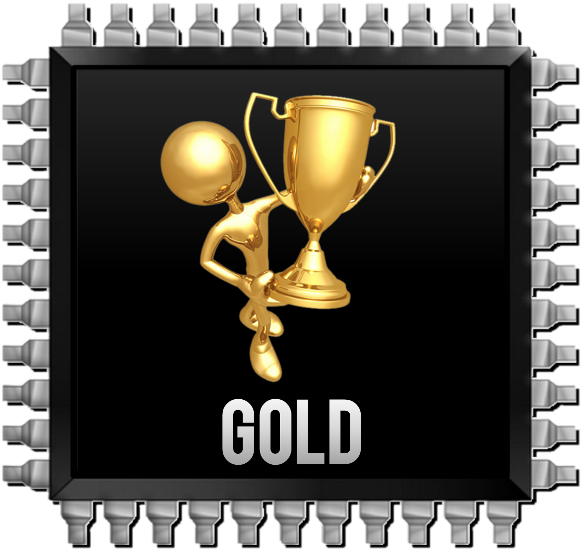 This card is packed with innovative new gaming technologies, making it the perfect choice for the latest high-definition games and is VR Ready. 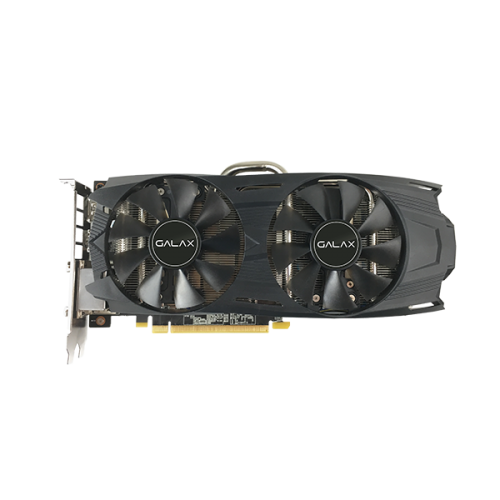 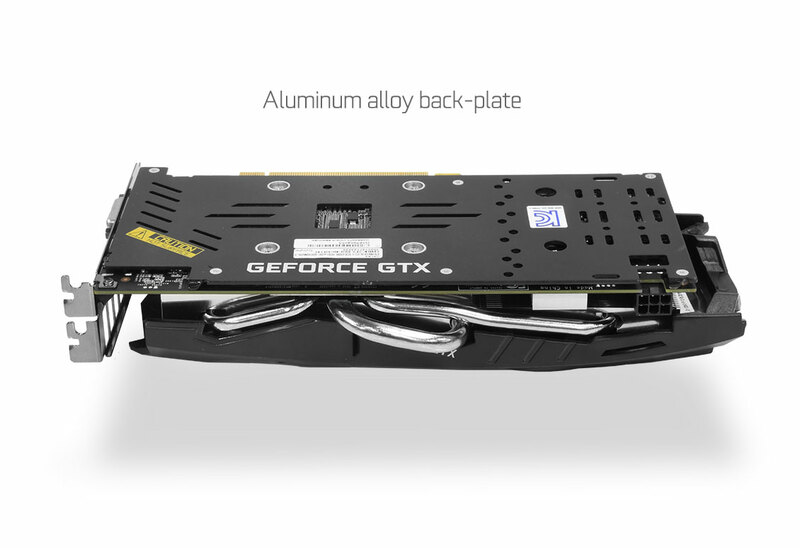 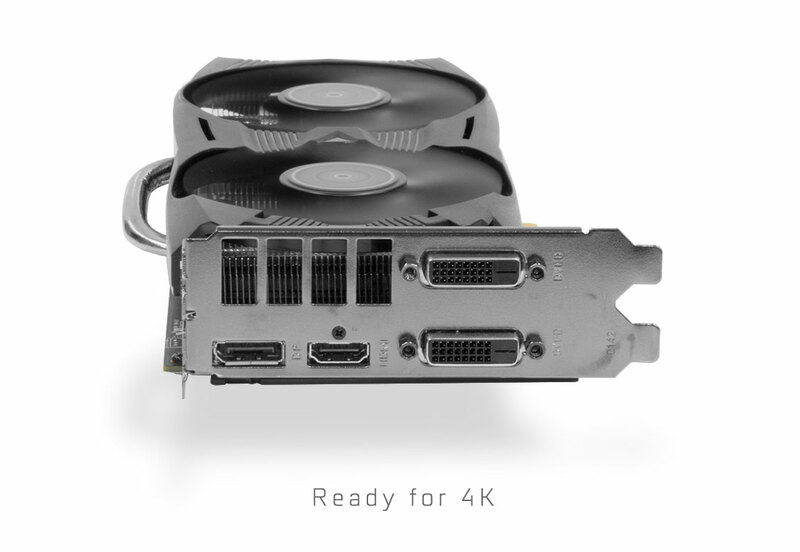 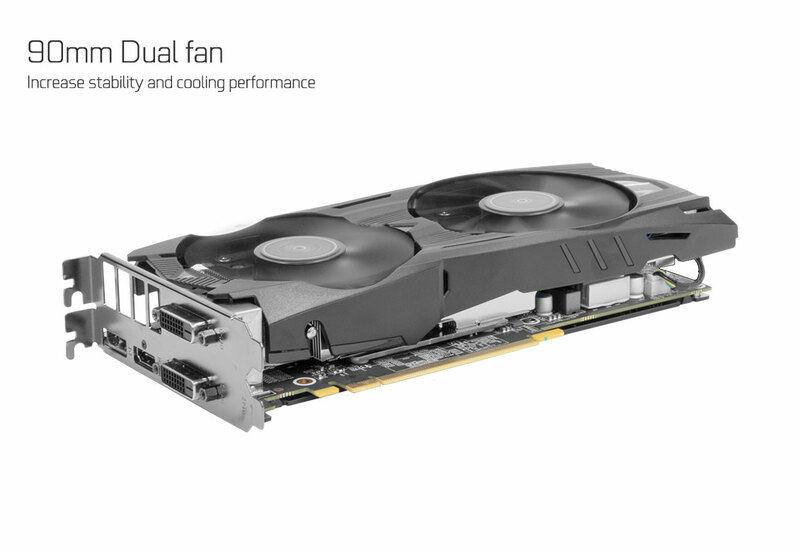 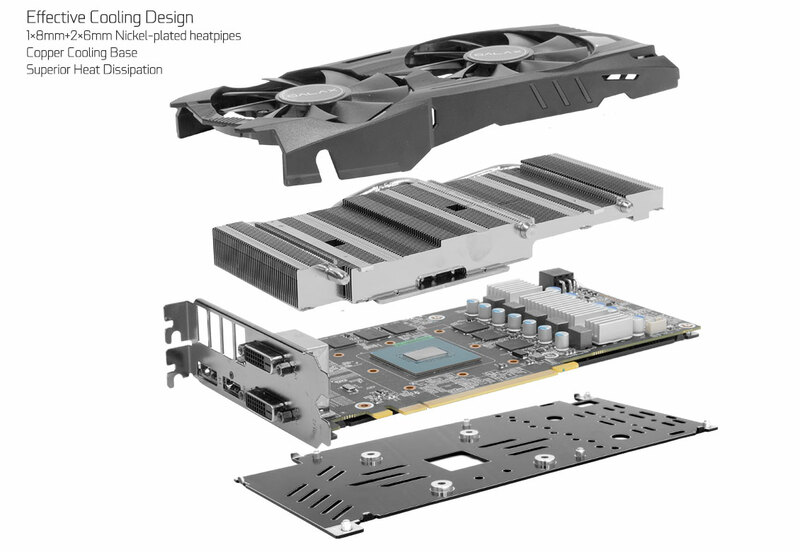 Powered by NVIDIA Pascal™—the most advanced GPU architecture ever created—the GeForce GTX 1060 delivers brilliant performance that opens the door to virtual reality and beyond.